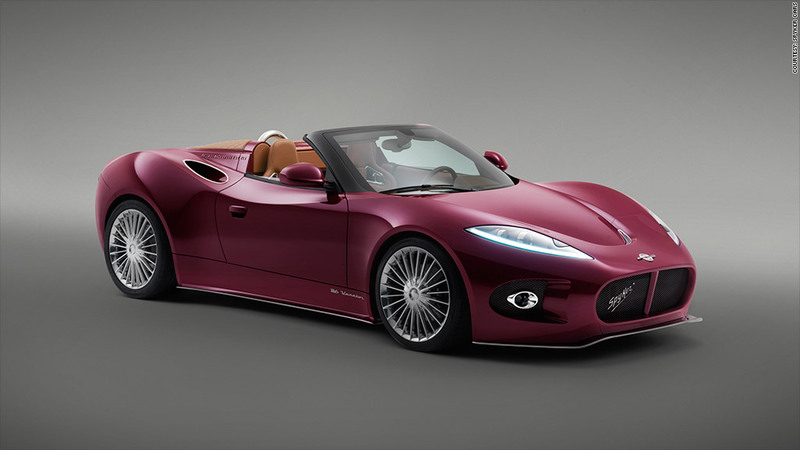 The Spyker Venator Spyder concept was revealed at the Pebble Beach Concours D'Elegance. Spyker says it's very close to the final production version. Spyker cars, the Dutch sports car company best known for its wild designs and its failed involvement with the Swedish automaker Saab, will allow investors to get its new car by buying bonds. Investors can buy a £100,000 -- or $167,000 -- bond that's convertible into a Spyker B6 Venator. Each bond will be issued with a specific chassis identification number corresponding to a car to be built later. It's the first time any automaker has offered a bond that can be redeemed in cars, according to Spyker. Spyker will issue 100 bonds. The £10 million raised will be used to increase manufacturing capacity to meet the "unexpectedly high" demand for the car. Neither Standard & Poors or Moody's has issued a credit rating on Spyker, a company that has not issued bonds previously. So far, the Venator has been shown only as a "concept car," but one which Spyker has said is very close to the final production version. The Ventor coupe concept was unveiled a year ago at the Geneva Motor Show. The convertible Spyker Venator Spyder was unveiled in California in August. The production car has not yet been unveiled, but the company is expected to begin building the vehicle this year for markets other than the United States. Production for the U.S. is expected to begin next year. The bond has a term of four years, although it can be redeemed in three. Bondholders will be able to get a special-edition Venator worth at least £125,000. Alternatively, they could opt for cash or equity, should Spyker offer publicly traded stock prior to the expiration of the bonds. Spyker stock has not been traded in Europe since September 2013. The Venator's body is made entirely from carbon fiber while the chassis is made from aluminum. The rear-wheel-drive car's V6 engine is mounted behind the seats and it has a six-speed manual transmission. Spyker's Latin motto -- "Nulla tenaci invia est via" or "For the tenacious no road is impassable" -- adorns the side of the car. Spyker intends to build about 4,200 Venators over six years, Spyker chief executive Victor Muller said. It's intended to be a more affordable alternative to Spyker's current model, the C8 Aileron. 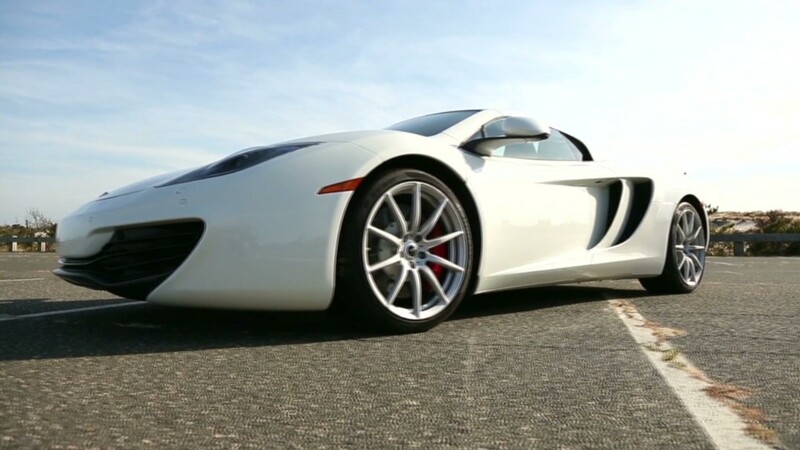 Powered by an Audi V8 engine, the Aileron costs around $250,000 and has a top speed of 187 miles per hour. While the Aileron was typically an owner's seventh or eighth car, the Venator will probably be someone's third or fourth car, Muller said. Spyker took control of the Swedish automaker Saab from General Motors (GM)in 2010. Spyker wasn't able to turn Saab into a viable business, however, and Saab went bankrupt in 2011. Chinese-run National Electric Vehicle Sweden now owns Saab and recently restarted production of the compact Saab 9-3. The attempt to turn Saab around nearly killed Spyker, Muller said. "When Saab was a subsidiary of Spyker, it drained all the resources of Spyker to the point that Spyker was virtually not making any cars anymore in 2011," he said. The past year has been devoted to getting the Venator into full production, Muller said.